For the past 10 years, America has zoomed in, and barged in, on the Middle East. The “T” words – terrorism and threat – have forced foreign policy officials to think critically about immediate risks from the region, while countries in need of policy attention decades ago have thrived, and continue to thrive, relatively unnoticed. Though blackened with the one-decade mark of unequivocal tragedy on September 11, 2001, this year also represents a story of regional success: 20 years of Baltic independence and triumph over Communist control. 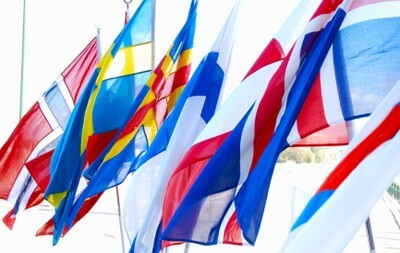 The Nordic-Baltic region, comprised of eight countries including Denmark, Finland, Iceland, Norway, Sweden, Estonia, Latvia and Lithuania, has undergone a transformative twenty years, and is assuming a greater, though still undervalued, role as an asset to the U.S.
After the collapse of the Soviet Union in 1991, the U.S. and its Nordic partners joined to assist in restoring the Baltic states’ freedom – an effort that, if handled improperly, could have gone terribly wrong in the after-hours of post-Communist control. The top agenda items from the U.S. over the past two decades remained consistent: help the Baltic states successfully join NATO and the EU, increase stability and integration, and secure the sovereignty of the states. The Nordic majority of the region (Denmark, Finland, Iceland, Norway and Sweden) and the Baltic three (Estonia, Latvia and Lithuania_ have the potential to carry significant responsibility from a global security standpoint, according to research conducted by the Atlantic Council, a Washington, D.C.-based organization that promotes constructive U.S. leadership through the Atlantic community to address international challenges of the 21st century. The Baltic region – democratic in practice and economically growing – has a track record of independent success, despite its non-linear path to transatlantic gains. Prior to the end of the Cold War, before the Soviet Union parted into 15 separate countries, Estonia was the first to demand independence beginning in 1987. Shortly after, Lithuania and Latvia followed their neighbor to the North. Although the countries remain geographically close to Russia – Estonia and Latvia are cemented to its Western border – two decades after the fall of Communism, the Baltic region is politically and economically closer to NATO and the EU. The UK Prime Minister David Cameron held a Nordic-Baltic summit in January 2011, which addressed social and economic platforms, and emphasized issues such as health care reform over security concerns. And security, in this case, is not limited to the military. “When we talk about security, we’re not always talking about military might,” Masha Yovanovitch, Deputy Assistant Secretary of State for European and Eurasian Affairs, said. The Nordic-Baltic’s role in the 21st century includes a modern framework of regions working under an economic and energy umbrella – two potential pillars of future security. “One half of all energy consumed in Finland comes from Russia,” Pekka Sutela, Senior Advisor at the Bank of Finland, located in Helsinki, said. Tomas Malmlof, a researcher at the Swedish Defense Research Institute, located in Stockholm, said the region is in a strategic location to build a nuclear power plant. “It should be possible to balance security [from an electricity standpoint},” he said. Andris Spruds, a lecturer at Riga University, located in Latvia, said incorporating alternative energy sources such as green or clean energy, and distributing them between more and less vulnerable countries, could help address current energy obstacles from a security standpoint. According to Spruds, more “EU-zation” – a higher presence of the EU in the region – is an important step to furthering energy security, in addition to financial support for connection projects. Looking forward, and reflecting on decisions of the past, the former President said, “We have found truly common ground on important political questions. [In Iraq] we took a position that was pro American, and some still remind us of that.” According to Vike-Freiberga, Russia has greatly opposed Nordic-Baltic integration with NATO and the EU. Kadri Liik, a researcher at the International Centre for Defense Studies, located in Tallinn, said democratic efforts are essential components of regional security. “If you don’t engage in democracy building you might be forced to engage in state building later on,” Liik said. But there is a cautionary viewpoint prevalent in the region that is slowing down the democratic track. The “we shouldn’t mettle in Russia’s backyard” view, according to Liik, is counterproductive. “Is democracy building in a post-Soviet space bound to irritate Russia? Not as much as people think,” she said. Steve Flanagan, Senior Vice President of the Center for Strategic and International Studies, located in Washington, D.C., said there should be a global agenda so the region is prepared to tackle the challenges of an unpredictable and interconnected world. “I’m going to make a plea that there has been quite a robust involvement,” he said. This kind of resistance, according to Flanagan, forces U.S. and others to carry the greatest responsibility, and has been continuously pushed back.